From a time when Squaresoft was at the top of their game. 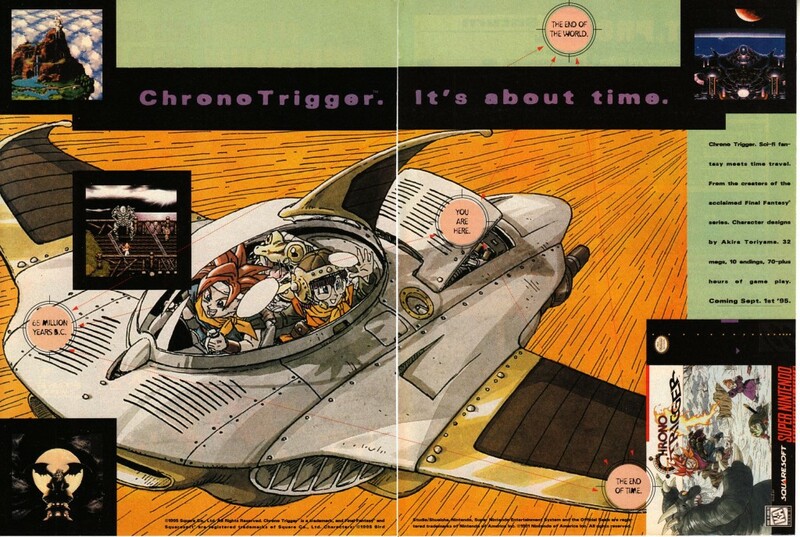 Chrono Trigger is an RPG with a distinct focus on time travel. The game was a big hit on the SNES in 1995, but European and Oceanic audiences did not get to experience the game (officially) until its release on the Nintendo DS in 2008. The original SNES version was not officially released until it hit Virtual Console in 2011!